Protease inhibitors are antiviral drugs that target human immunodeficiency virus (HIV) or hepatitis C virus (HCV) protease enzymes and are they are used for treating HIV or HCV infection. Protease inhibitors are administered orally and have similar mechanisms of action and side effects. However, HCV and HIV protese inhibitors target different protease enzymes. Protease is involved in the viral replication process. This enzyme’s normal function is to cleave (cut) different parts of newly formed polyproteins to create newly formed virions (the infective form of a virus). The inhibition (prevention) of this step in viral replication prevents or stops the spread of the infection within the host. HIV protease inhibitors prevent the formation of Gag and Gag-Pol viral polyproteins, slowing the spread of the virus from the infected cell. HCV protease inhibitors target the NS3/4a protease and prevent the maturation of the replicating virus. Protease inhibitors reduce the viral load in people with HIV or HCV. Reduced viral load delays the occurrence of opportunistic infections in HIV-infected individuals and results in sustained virologic response (SVR), which means a cure, in HCV-infected people. Treatment of HIV infection in combination with other nucleoside reverse transcriptase inhibitors (NRTIs). Treatment of chronic HCV infection in combination with peginterferon alfa and ribavirin. 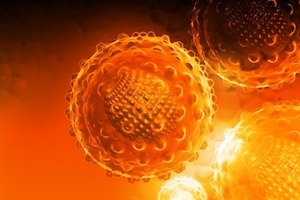 Boosting the effect of another antiviral agent. Palella FJ Jr, Delaney KM, Moorman AC, et al. Declining morbidity and mortality among patients with advanced human immunodeficiency virus infection. HIV Outpatient Study Investigators. N Engl J Med 1998; 338:853.